Electronic publishing is blurring the boundaries between dictionaries and encyclopedias. This film blurs the boundary between reality and fantasy. You can camp anywhere inside the boundaries of the park. Your work is limited only by the boundaries of your imagination. Lawrence didn’t flaunt his wealth – he lived a simple life. Models flaunted themselves in tight designer jeans. You go to the mall and you see fourteen-year-old kids flaunting money their parents give them. He’s got a lot of money but he doesn’t flaunt it. Flavio was flaunting his tan in a pair of white trunks. As the sun set, it tinted the snow pink. He’s a strong advocate of state ownership of the railways. She’s a strong advocate of women’s rights. 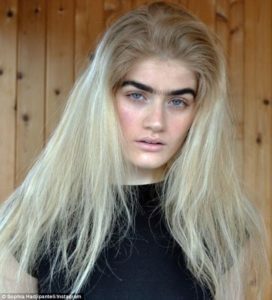 Having a thick set of brows is almost a requirement for models these days, but one Greek Cypriot beauty is single–handedly bringing back the unibrow. 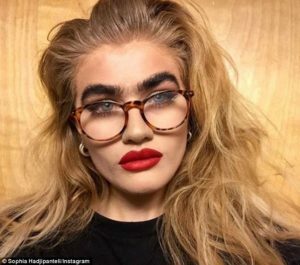 Sophia Hadjipanteli, a model and marketing student at the University of Maryland, proudly shows off her jet-black unibrow on Instagram — and she couldn’t care less about the negative comments she receives about her unconventional look. A good degree is a minimum requirement for many jobs. It is a legal requirement that you have insurance for your car. Previous experience is one of the requirements for the job. She single-handedly supported the family after her husband’s death. She brought three children up single-handedly. The round-the-world single-handed race is sailing’s ultimate challenge. He has a really unconventional dress sense. He has an unconventional attitude toward work. Stop talking and get on with it. I like to be left to get on with the job. The sooner we finish the speeches, the sooner we can get on with the celebration. We don’t have all day to finish this job, so can we just get on with it? Either tomorrow or Wednesday is fine for me. Do you have a preference? Her preference is for comfortable rather than stylish clothes. I have a preference for sweet food over spicy. Sophia explained that she thinks her face looks better with a thick unibrow, but she thinks it is ‘totally cool’ if people disagree with her. The model’s parent emigrated from Cyprus and London, and she credits her enviable eyebrows to good genetics. 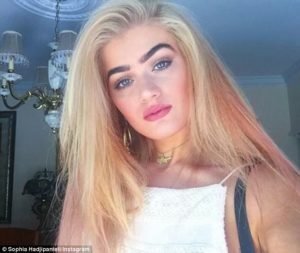 However, the natural blonde admitted the striking appearance of her brows was enhanced when she tried tinting them and accidentally dyed them black. Ever since her brother told her the look suits her, she has been sporadically dying her brows whenever her blond hair starts to show. The team credited their victory to hard work. She bears a striking resemblance to her mother. There’s a striking contrast between what he does and what he says he does. The library is a striking example of modern architecture. There are striking similarities between the two cases. Perhaps the most striking feature of this computer is that it is so easy to use. There was a striking physical resemblance between the two men. He was a striking figure with full beard and flowing, collar-length hair. Her eye make-up was very striking. More than 100 people have been killed this year in sporadic outbursts of ethnic violence. The explosions were only sporadic now. In addition to tinting her brows, she also them with castor oil at night before she goes to bed. ‘It really does help, it’s not just a myth,’ she said of the at-home remedy for stimulating hair growth. It’s hard not to look at Sophia and think of Frida Kahlo, who also known for her unibrow, and just a few days ago, she shared two photos of herself modeling a flower-crown similar to the ones worn by the Mexican artist. Sophia, who has nearly 50,000 followers, explained in her Instagram post that it is ‘the most requested look’ she has ever gotten in her life. She ended her message by praising Frida Kahlo and other cultures for ‘leading the way’ for people like herself. For all the vitriol she receives online because of her brows, there are also those who praise her showcasing her beauty while ignoring societal norms. Sophia may prefer her natural brows, but she is also a fan of colorful make-up and bright lips.In a recent Instagram post, she stressed that her preferences are not mutually exclusive. ‘I wear makeup because it is fun. I have a unibrow because it is a preference,’ she wrote. ‘I wear makeup and have a unibrow because it is what I like. The company has been leading the way in network applications for several years. It is a country that has always led the way in its conservation policies. 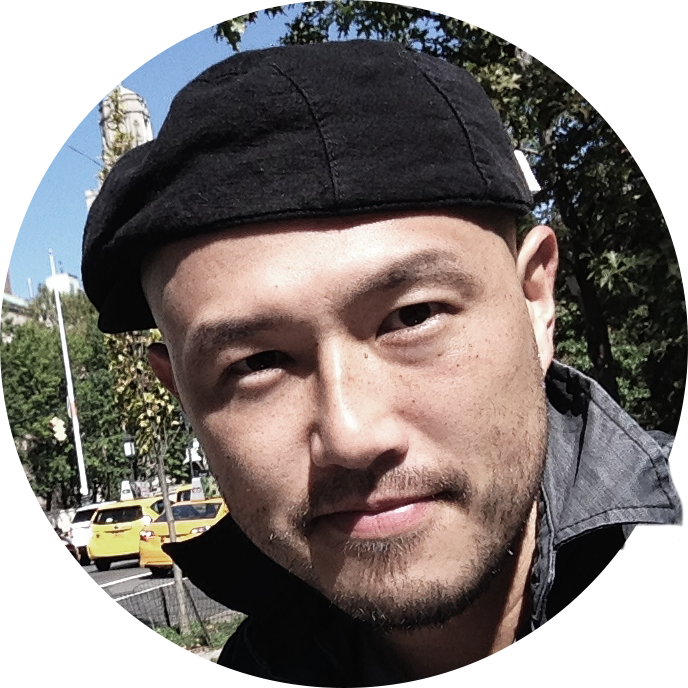 He is a writer who has often been criticized by the press but never before with such vitriol. Rapid societal changes have complicated parents’ task. Being rich and being a Socialist are not mutually exclusive (= they can exist together at the same time). A lot of people still think brains and beauty are mutually exclusive (= cannot exist together at the same time). We need to find a mutually convenient date for the talks. It will be a mutually beneficial project. ‘Don’t put me in a bubble. Just because I embrace one natural part of me doesn’t mean I’m a hypocrite for wanting to enhance other parts of who I am,’ she added. Although she is a fan of her look, she admitted to Harper’s Bazaar that her thick brows and bright eye make-up lead to people ‘literally staring’ at her when she is at school. For Sophia, sporting a unibrow is the same as wearing a red lip or a a dramatic cat-eye, and she stressed that her look can easily evolve into something different as she gets older. 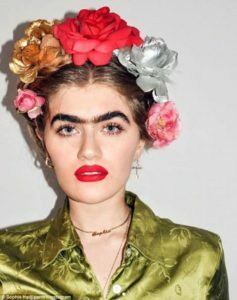 And while she doesn’t want her unibrow to define her, she also plans on showing it off for as long as it takes for others to learn how to accept it. 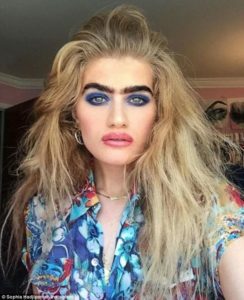 She even uses the hashtag #UnibrowMovement in her Instagram bio. ‘Until people start to accept others for this specific feature on their face, I won’t feel ready to move on from it,’ she told the outlet. The candidate liked to talk to ordinary people to get a fix on what was happening outside his bubble. On social media we all tend to live in our bubbles, where everyone feels the same way we do. He’s a hypocrite – he’s always lecturing other people on the environment but he drives around in a huge car. Media outlets across the globe covered the Ukraine crisis in detail.